I understand that the 98.2% means that in any week 98.2% of people who watched TV that week watched BBC1. Some of those may have only watched one BBC1 programe and so unlikely to to pay £145.50 for one program a week. Actually Road Tax is unfair as most of the money collected is not used to pay for the roads. Council Tax is also unfair as many council services relate to individuals and not the house they live in. The fact that Sky is the satellite gatekeeper is the result of Government policy when satellite broadcasting started. As you know the Government wanted to start things of with 2 satellite companies but that proved not to be feasable. 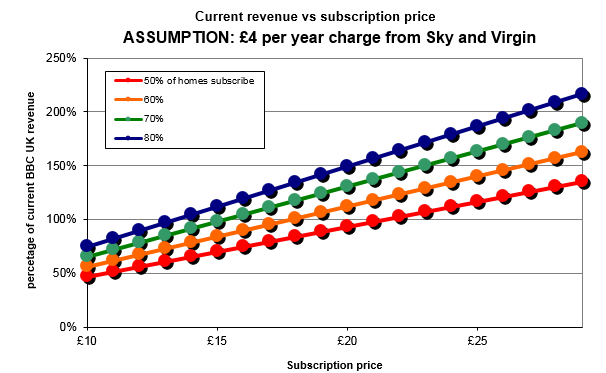 Sky does have a very powerful place in the market and Ofcom and the Competition Commission are meant to keep Sky in its place. Odly enough competition does not always work in the consumers interest. When Sky was forbiden to take all the Premiereship packages the cost to the consumer went up as they had to pay Sky and Setanta to see all the matches. Now BT has entered the TV market in an attempt to preserve thier overpriced Internet service. If you think Sky bundle thier services too much what about the BBC. They only have one bundle!!! Now TV is just another delivery method. There is plenty of competition in the Internet video market. Netflix, Amazon, youtube and Blinkbox etc. I am not sure about the PVR facilities it might be that the software is rented to users. In any case Sky does not make excessive profits. The churn rate is very price sensitive and so Sky manages it's prices very carefully. In any case all this has very little to do about the unjust BBC licence fee. Maybe part of the licence fee should go to Sky as we all need the licence to watch it. trevorjharris: I didn't know that. At worst, not all of the EPG is encrypted and it's a fairly easy one to work around, but it is still rather annoying that the BBC make it unnecessarily difficult for people to build their own receivers. Mike Davison: It seems a bizarre anachronism that the government is still allowed to constrain what is basically a way of listening to magnetic waves and I don't think that it's a good basis for support of the TV Licence. I feel it's far better to argue that the public service broadcasting we have is better than what we'd have otherwise. trevorjharris: Road Tax was abolished in the 1930s, although some motorists keep calling car tax (actually Vehicle Excise Duty) by that name to try to trick people into thinking that they have some greater claim on the roads than people who choose not to use cars. 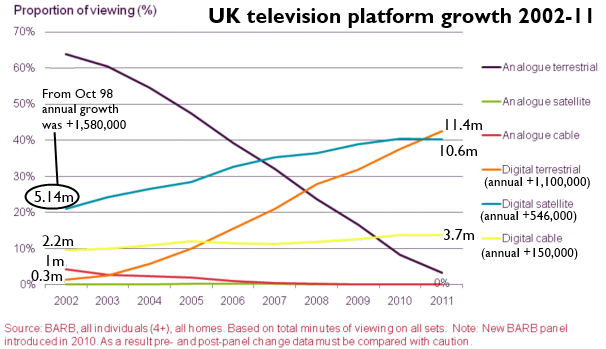 And I don't think Sky got where it was because the market couldn't support multiple providers. Look at what happened in other nearby countries - in most cases, multiple satellite subscription providers until Sky either spread to them (Italy, Germany, Austria) or there was consolidation to strengthen against Sky (France, Spain, maybe Poland currently). Northern/North-eastern Europe still seemed to have competition (often Viasat and one other) last I checked, but little in the way of free-to-air services. But I agree with you that BT is using subscription TV to prop up the old monopoly's increasingly weak internet/phone offer. 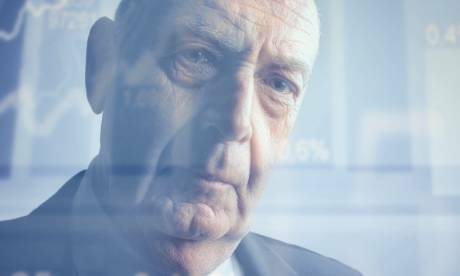 MJ Ray: The Freesat EPG "encryption" is a rather pathetic attempt to require that companies making receivers sign an agreement to adhere to certain standards. There is, as far as I understand it, no charge for this. You just have to agree to do some things that the industry wanted, mainly to do with using HDCP on HDMI HD output. For the record, I campaigned extensively against this when it was introduced. It is worth noting that Microsoft do not use their own EPG for Freesat with Windows 7 and 8 Media Centre and bypass the BBC "letter of requirements". (the Freesat EPG "encoding" is actually a standard Huffman system: the "decoding table" is supposed to be a secret, but they are listed vdr project stuff ). Briantist: I knew there was something odd with the Freesat EPG, but not with the Freeview one... or did trevorjharris have his Free-s mixed up? I understood the BBC did this to enforce the BBC copying policy. Iplayer streams are available unencrypted so can be copied at will with the right software. The BBC has trying to bully software writers from making this software available. Hint google get_iplayer. trevorjharris: Why is the BBC 'bullying' people to stop distributing what is basically pirating software? If you had a shop, and people kept nicking stuff, would you let them? I had a quick look at something similar for Sky streaming content - there's one as well. However, are Sky 'bullying' when it seeks to protect its paid for content from being available for nothing? Or are they simply being sensible? 'I understand that the 98.2% means that in any week 98.2% of people who watched TV that week watched BBC1. Some of those may have only watched one BBC1 programe and so unlikely to to pay £145.50 for one program a week. ' True, although you avoided the point that they may well be using any amount of other BBC services as well. However, wouldn't that logic also hold up for Sky subscribers as well? If you watch nothing on Sky apart from ITV3 and one hour each week of Game of Thrones, isn't that very poor value? 'If you investigate I think you will find that the Murdoch family has no financial interest in Sky UK. News International does not even exist. Murdoch is more interested in Newspapers rather than TV'. I realise that as an unpaid Sky PR person, you dont tend to check out such stuff as fact, but I did. The Murdochs owned 12% of News Corp International, but this gave them 39% of voting shares, I think still the largest single holding of voting shares. After the company was split into New News Corp (publishing) and 21st Century Fox (most other media holdings), all shareholders got 1 new Newscorp share for 4 old ones. Assuming Fox was using the same system, the Murdochs retained their holdings % and voting rights. It should also be noted that for a company that has little do do with the Murdochs, the post split print companies logo is even based on R. Murdoch's (the CEO) signature! Ok - News Corp owned 39% of BSkyB, and until both the Vince Cable scandal and then phone hacking, was going to buy the rest up (I bet they will try again at some point). In reality, its always controlled BSkyB, and that has not changed since the corporate split, since 21st Century Fox still controls the company. The CEO of 21st Century Fox - R. Murdoch. Former CEO of BSkyB - R. Murdoch, who was then followed by J.Murdoch (until the phone hacking broke). MikeB: recording is nothing theft from a shop, because even when someone has recorded something off the TV or iplayer, the original is still there. The "recording is theft" argument was pretty comprehensively lost when it was used about taping off of the radio decades ago, wasn't it? The really crazy thing with the BBC's attitude at the moment is that if you hook up a USB DVB device, you can just record the broadcast off-air to disk, yet to get it off of iplayer, they try to make you use the BBC's dodgy software instead of something like get_iplayer that has been peer-reviewed (and which I've been using for a few years because BBC's player isn't available for any computers in this house and even if it was, I'm not sure I'd trust it). I can understand if the BBC wants to try to limit geographic access somehow, to satisfy production companies who might have only sold a show to the BBC for UK consumption, but after free-to-air broadcast, the control-freakery of "you may only have 1 copy for N days" seems misplaced. The BBC's needless obstruction of non-BBC innovation is maybe the second biggest negative of today's BBC after Capita TV Licensing. One interesting point: when the first Astra satellite was launched in early 1989 and then put into orbital position at 19.2 E, tested and then SES allowed broadcasters to make use of it, for a free of course, all the services were unencrypted analogue with Panda1 audio compression. Then British Satellite Broadcasting started on March 26th 1990(see http://en.wikipedia.org/w…ing) but soon fell to the grabbing policies of Sky, around November 1990. The Marco Polo satellites were sold off as well in 1992 and 1993. So Sky inherited an encrypted service that used a DMAC digital system. So Sky started as an unencrypted 'free' service paid for by advertising revenues, but it was never enough. So as the technology became viable and available, Sky went digital and encypted and you had to pay to have an authorisation card - and still do. So the advertising couldn't pay enough for Sky to make enough profit as well as provide programming that people wanted to watch. They saw that encryption with a monthly subscription was the only way to make the kind of profit margins they sought. The method they chose is not cheap and simple so is expensive to operate and requires equipment that is specifically designed for the job. I suspect the viewing market would not support a second system of subscriptions to watch even more programmes, many of which appear to be repeats of repeats!